Nick Estes is Kul Wicasa and a citizen of the Lower Brule Sioux Tribe. He is an Assistant Professor in the American Studies Department at the University of New Mexico. For 2017-2018, Estes was the American Democracy Fellow at the Charles Warren Center for Studies in American History at Harvard University. His research engages colonialism and global Indigenous histories, with a focus on decolonization, environmental justice, anti-capitalism, and the Oceti Sakowin. Estes is the author of the forthcoming book Our History is the Future: #NoDAPL, Standing Rock, and the Long Traditions of Indigenous Resistance (Verso, 2019), which places into historical context the Indigenous-led movement to stop the Dakota Access Pipeline. He edited with Jaskiran Dhillon the forthcoming volume #NoDAPL and Mni Wiconi: Reflections on Standing Rock (University of Minnesota, 2019), which draws together diverse perspectives from leaders, scholars, and activists of the Standing Rock movement. 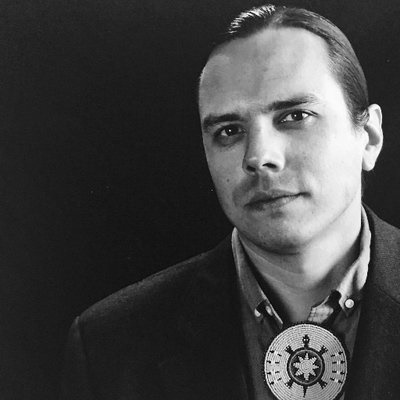 He was a guest editor with Melanie K. Yazzie of a special issue of Wicazo Sa Review (Spring 2016) on the legacy of Dakota scholar Elizabeth Cook-Lynn, one of the founders of American Indian Studies. His film and book reviews can be found in Environmental History, Journal of Native American and Indigenous Studies Journal, Harvard Business Review, and Abolition Journal. In 2015, his reporting on bordertown violence and racism for Indian Country Today won a Third Place Prize for Excellence in Beat Reporting from the Native American Journalism Association. Estes’ writing is also featured in Jacobin, Indian Country Today, The Funambulist Magazine, High Country News, and La Jicarita. He was a historical consultant for the episode “Standing Rock II,” for Vice’s 2017 award-winning documentary series “Rise,” directed by Michelle Latimer, and a research consultant for the documentary film Ladonna Harris: Indian 101 (2016), directed by Julianna Brannum. Interviews with Estes have appeared on Native American Calling, Cultures of Energy Podcast, and in Policing the Planet (Verso, 2016), a book edited by Jordan T. Camp and Christina Heatherton.